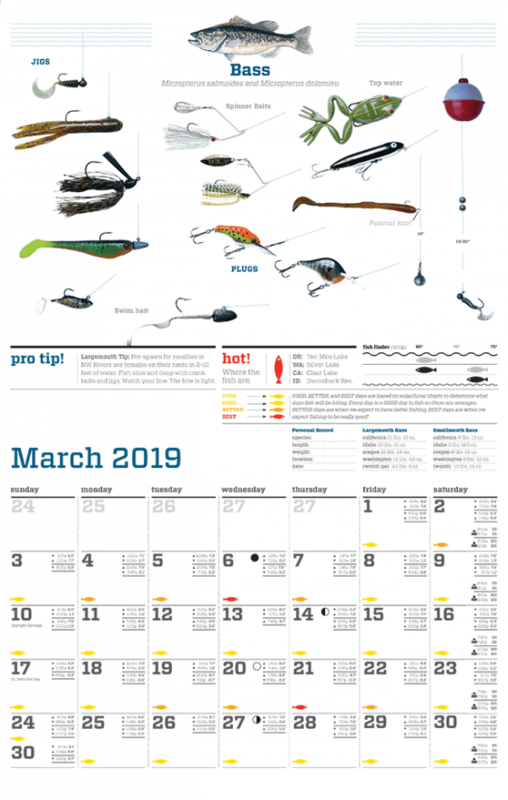 More than a calendar – it’s your guide to fishing success with year round tips and tackle rigging secrets! 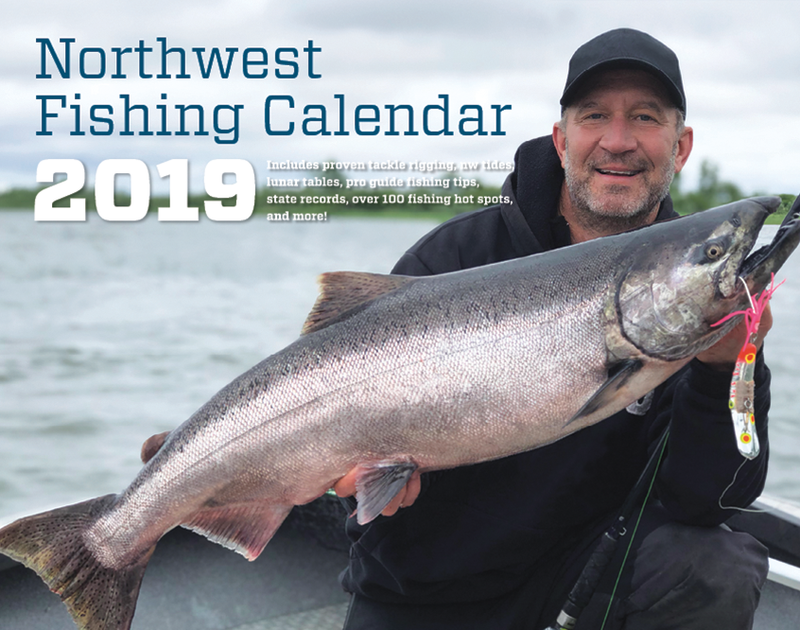 Improve your success with daily GOOD, BETTER and BEST opportunities, monthly tips from PRO GUIDES and fishing tackle suggestions each month in the NW Fishing Calendar. More than 100 new hot spots over the course of the year. 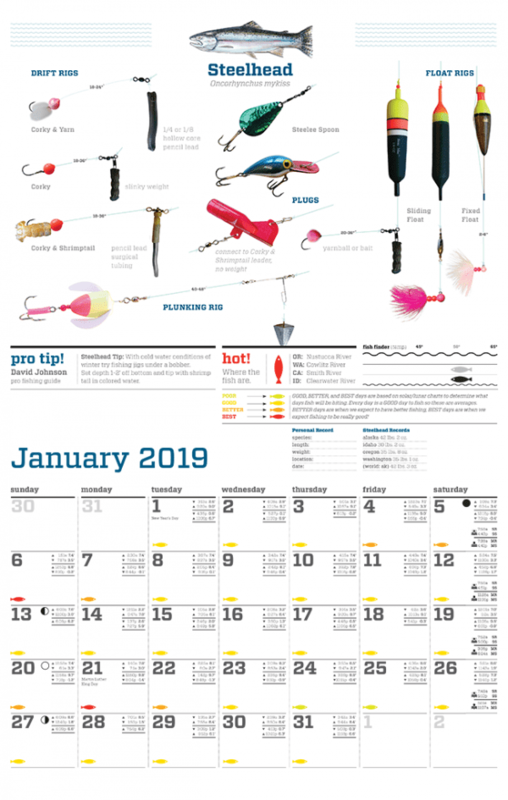 With rigging tips for every type of fish, NW tides, clamming and crabbing tips this wall calendar has immeasurable value. 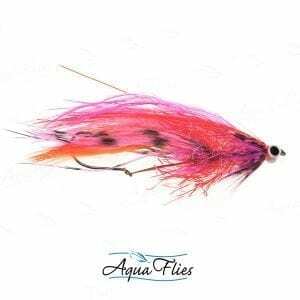 These great fishing tips and tricks are just for the NW. 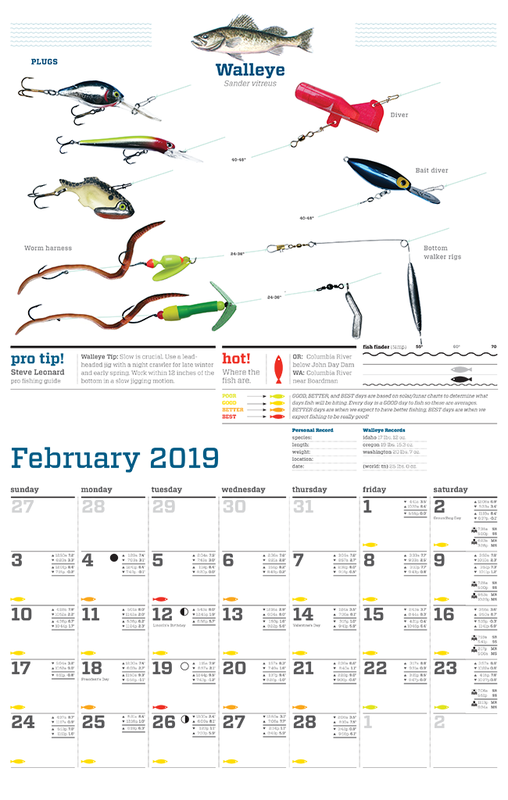 Each month also features pro-guide fishing tips to help you catch more and give you the best spots to go! 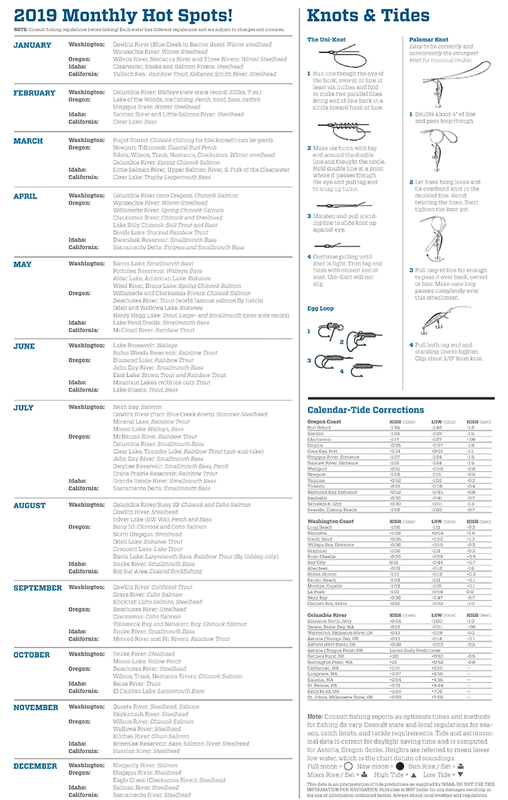 Sunrise/sunset and moon phases are included to help you perfectly plan your fishing trip. 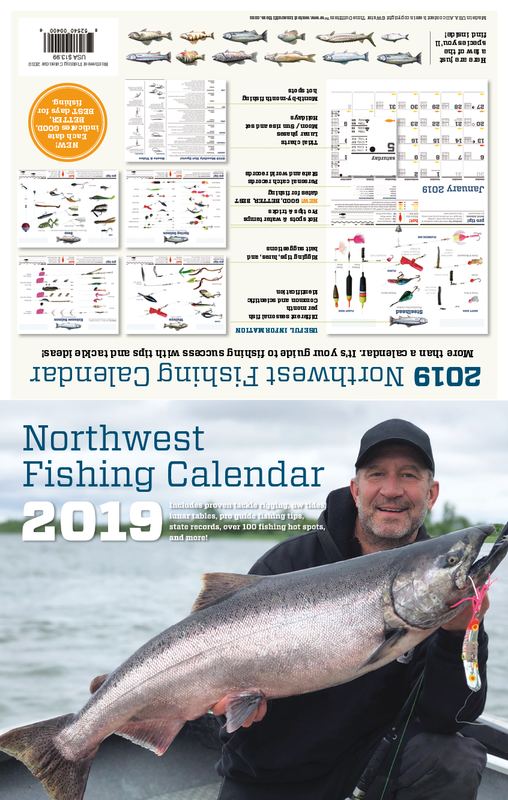 Catch more this coming year with the NW Fishing Calendar! 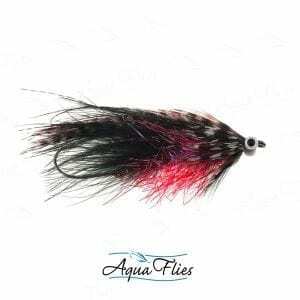 Featuring: Salmon, Steelhead, Bass, Walleye, Sturgeon, Kokanee, Bluegill, Catfish, Crappie, Rainbow Trout and much more! Includes: NEW GOOD, BETTER, BEST days for fishing. Each day is marked to improve your chances. 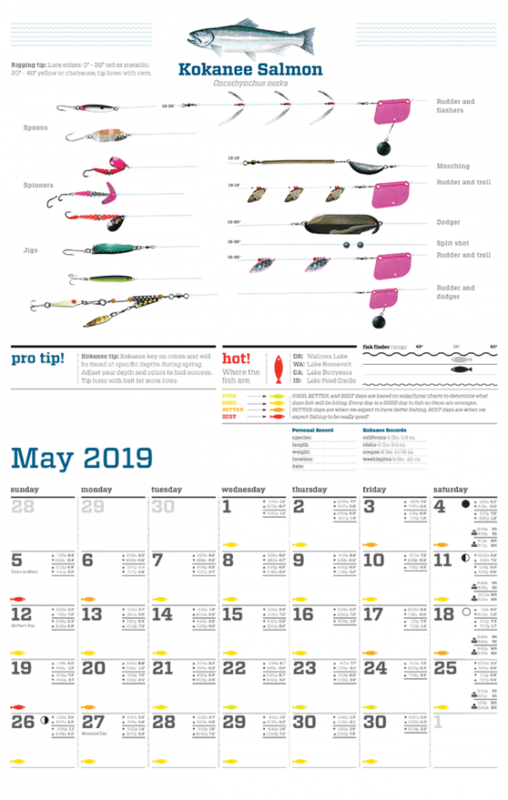 Plus, hot spot recommendations, common knots to know, state records for listed species, lunar phases, personal catch record section, scientific names of fish species, preferred thermoclines, tackle box check list, tide corrections for NW locations and monthly reminders where to go fish!